Pure Beauty, a brand developed and made in Korea with the promise of using the best of natural ingredients supported with the latest science and technology has launched a powerful new skin care line – Pomegranate Urban Shield for Antioxidant and Anti-Pollution protection. 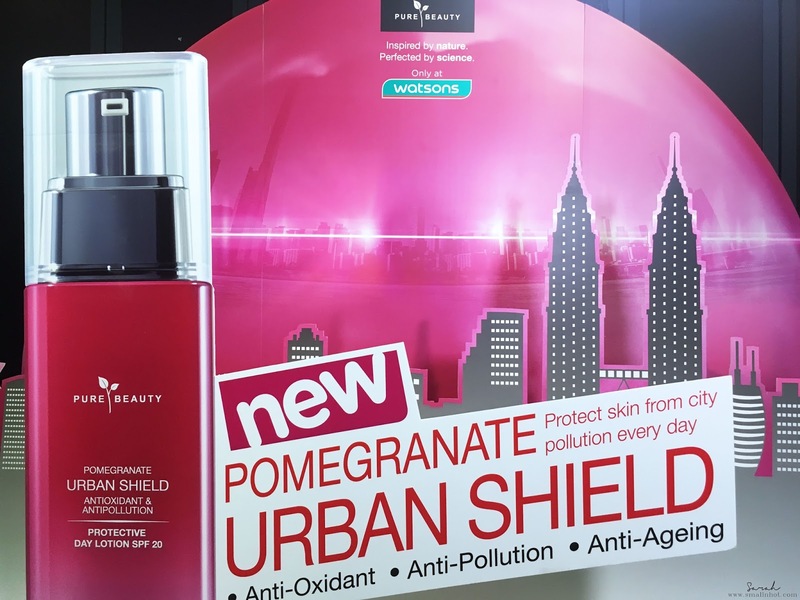 Protect and Rejuvenate Your Skin with Pure Beauty Pomegranate Urban Shield! With the ever challenging and busy urban lifestyle, women today find their skin tired and lacking luster due to the surrounding environment. Pure Beauty’s latest skin care line is the perfect solution where each product has been specifically formulated to revitalize, soothe and protect the skin. This helps to reinforce the skin’s natural defenses against external aggression. 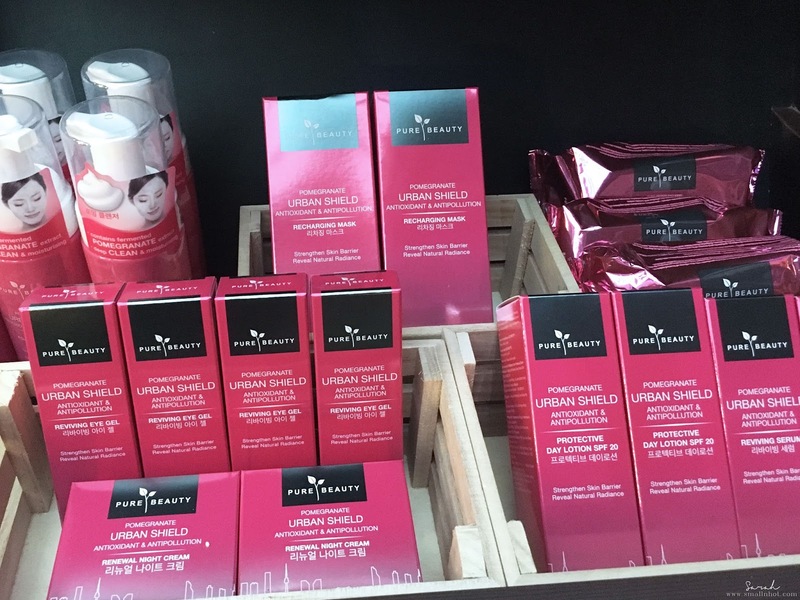 The upgraded formula of Pure Beauty Pomegranate Urban Shield range comprises of fermented Pomegranate extract which is a powerful antioxidant, Urban Shield Complex, Swiss Radicare, Bulgarian Rose Water and certified organic ingredients. This upgraded formula strengthens the skin barrier, revitalizes dull skin and reveals natural radiance. The range is also equipped with rejuvenating Phyto-Placenta which has a powerful anti-wrinkle action. Aside from that, the IBR patented ingredients boost the skin’s natural defenses, providing protection from oxidative damage and the signs of ageing for more youthful-looking skin. This new range is available at all Watsons stores nationwide. 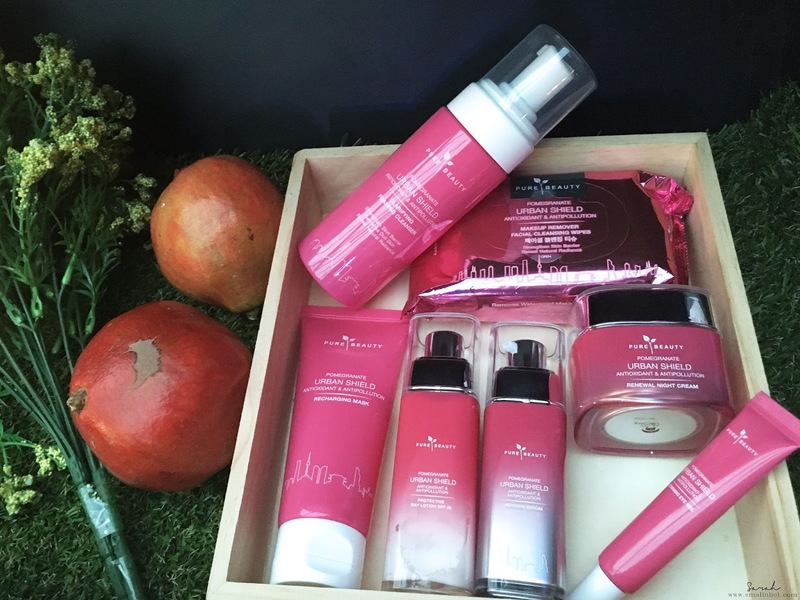 The range comes with 8 different products which are Clarifying Foaming Cleanser or Mousse, Clarifying Toner, Reviving Serum, Protective Day Lotion SPF 20, Renewal Night Cream, Reviving Eye Gel, Recharging Cream-Mask and Makeup Remover Facial Cleansing Wipes.